A crowd of passengers were seen on several queues at the CMS jetty of the National Inland Waterways Authority (NIWA) as at 7.30 a.m on Wednesday. In spite of three ferry service operators with over 15 ferry boats working, the crowd of passengers kept increasing. 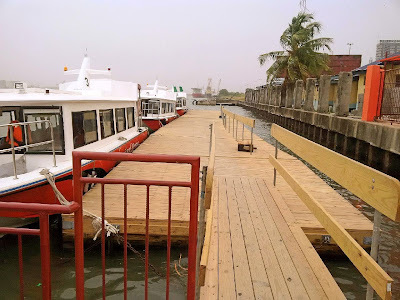 Mrs Roseline Attah, a worker at a private firm along Marina Street, said that she had been travelling by the ferryboat to and from ikorodu where she resides. She said the journey from Ikorodu was about 32 minutes and that she would just walk into her office with ease and go back at the close of work in the same way. According to Attah, water transportation had become a better alternative to road transport that would cost long wasted hours. “I have been following the ferry boat from Ikorodu to CMS to work and it has been the best option. “I definitely cannot subject myself to the long wasted hours going by road from Ikorodu anymore. “I encourage Lagosians to save themselves the pains of being in traffic for hours and losing so much even health-wise,” She said. Another passenger, Mr Aziakpono Odoko, who also works along the Marina, said water transportation was his saving grace since the traffic jam started on May 6. He said he was however encouraged to resume the use of water transportation when he saw that one of the operators brought in new boats. 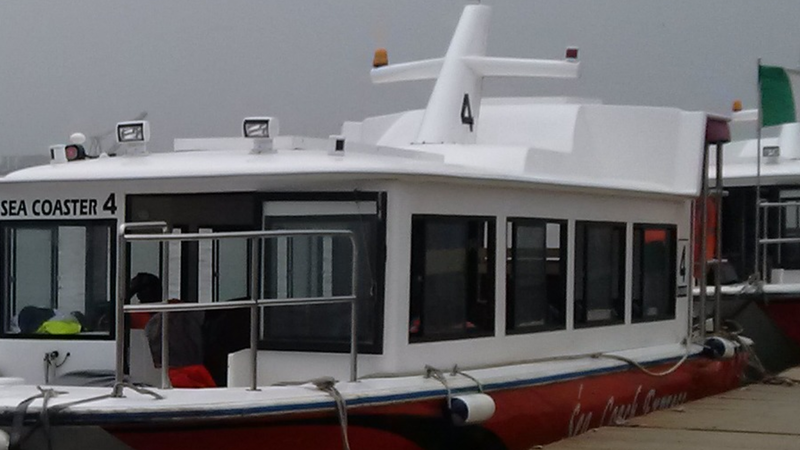 Odoko urged the government to create more awareness to encourage more people to embrace water transportation. “What we are seeing today with the traffic situation in Lagos is detrimental to the economy; it is detrimental to the health of people as well as road infrastructure. “But I must say that one of the new operators, Seacoach Ferry, encouraged people like me to resume travelling by water. “Government should just continue to make the working environment conducive for them so that the masses can be saved the trouble of endless hours of nightmare on the roads,” Odoko said. An Apapa-bound passenger, Mr Ibrahim Ahmed, said that he had never been worried by the gridlock in Apapa as he always travelled by water to CMS from Apapa and back. He said that his business on the Lagos Island was very time-sensitive, so he could not afford to drive in any traffic congestion. Mr Mu’azu Sambo, the Lagos Area Manager of NIWA, said that there had been an improvement in the ferry services with the Public Private Partnership efforts entered into with Seacoach Ferry Nigeria. He said that the operators started with a fleet of nine boats that are certified for their international standard. He said NIWA had also started planning to revamp some ferry operations to serve communities in Ajegunle, Mile 2, Satellite Town, Festac Town and its environs. “Water transportation plays key roles in development of a nation’s economy and for this reason NIWA takes it seriously to ensure that ferry service provision is provided in all the areas where needed. “With the unprecedented usage of the services following the traffic gridlock, we remain alive to our responsibility to ensure that ferry operators follow strictly, the safety standards. “The operators know that they cannot because of the rush carry beyond their boat capacity. “We want every passenger to arrive safely at their destination so that they can use enjoy the service again another day,” Sambo said. It would be recalled that the gridlock started as a result of tankers that came from across the country to load petroleum products in Apapa. The situation had since spilled into surrounding areas from Apapa to the Lagos Island and close by environs like Surulere, Yaba and Ikorodu road.